In the Cyclocross community, CX Nats was legend. Tales of the conditions, the suffering, and the failure of equipment are still being talked about. Chandler called me from the course and I insisted he write down what he was saying about disc brakes failing in the silty mud. He did and I posted it as A Fistful of Disc Brakes. Cyclocross has always been my favorite discipline of cycling. It’s racing in its truest form: rugged, elbow to elbow and the strongest guy usually wins. At the end of my pro career I had stopped riding for about ten years, busy with the job, kids and life. It was cyclocross that got me back riding again. I enjoy the unpredictable nature of the sport and the fact that you feel like you’re racing for the full hour. 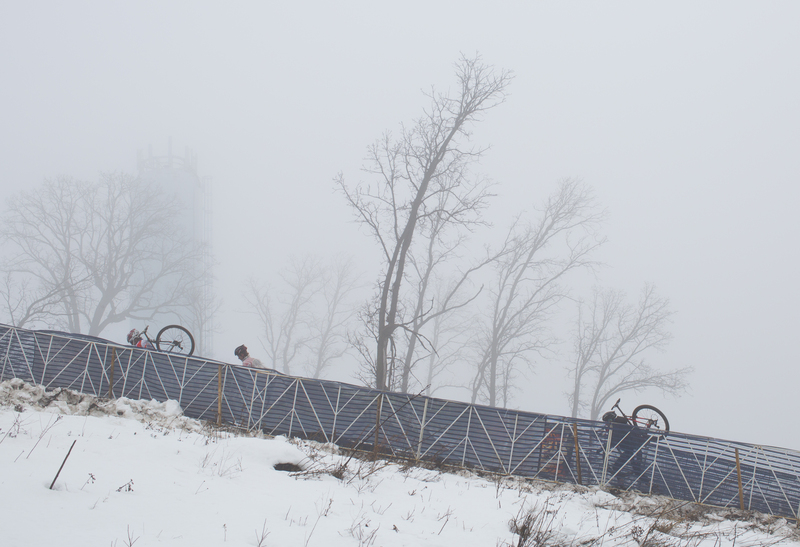 I raced with Don at CX Worlds in Louisville in equally nasty conditions. I wrote about that race here and for Wired. Pre-order Endure: Ballet in the Mud for $35.00. Next week in Madison, WI, the book launches. Here’s a making of video about it.